Two dreaded word for homeowners: MOLD and MILDEW. Microbial growth can cause all kinds of issues and can be very expensive to mitigate. Microbial growth grows best in dark, damp, humid and warm conditions and spreads by reproducing spores. Some microbial growth can grow in a harsher condition as well. Some common indoor types are Cladosporium, Penicillium, Alternaria and Aspergillus. These kinds of microbial growth, and others, can cause health effects. Microbial growth has appeared on the wall of this storage room. When black or green spots start to show up on your walls and ceilings, then there is a good chance that the spots are beginning stages of microbial growth. Microbial growth manifests when bacteria is allowed to cultivate in an ideal environment. Microbial growth needs moisture to thrive, and can have serious side effects of the tenants of the property. Do not let someone tell you that you can bleach the microbial growth away. Bleach does not penetrate porous materials which is what needs to happen to destroy the microbial growth. If just wiped away, the microbial growth will come back with a vengeance. It will only come back stronger. SERVPRO of Jackson ,MS is a reputable restoration and remediation company with a professional staff that brings many years of experience to the table. We qualified handle your microbial growth issues and have the antimicrobial necessary to eliminate the problem. Call SERVPRO of Jackson at (601) 353-2286 to go to chemical-war against the microbial menace. We will make it "Like it never even happened." 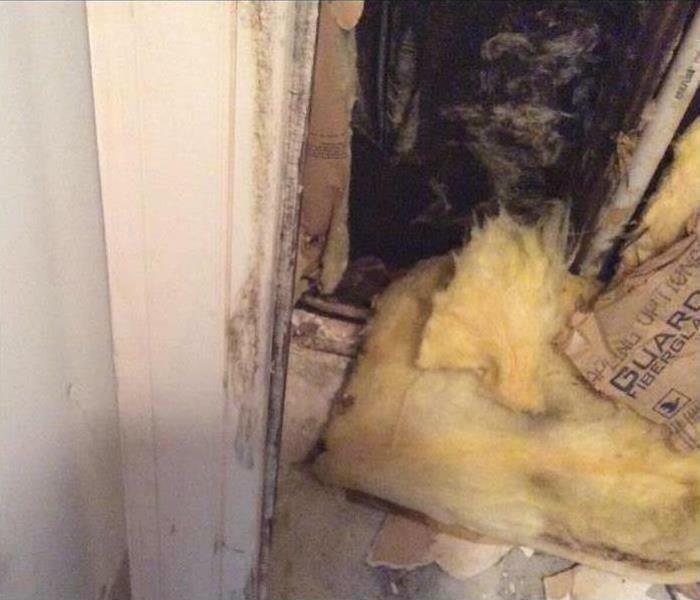 A common occurrence in older homes is microbial growth. Often times, people do not realize they have a growth issue until it gets out of hand. Before microbial growth takes over your home, let SERVPRO of Jackson help guide you with some easy tip to help your home be microbial growth resistant. Identify problem areas in your home such as condensation on a window or a damp area in your home. Next, you must fix that problem area! Remove material that doesn't dry. 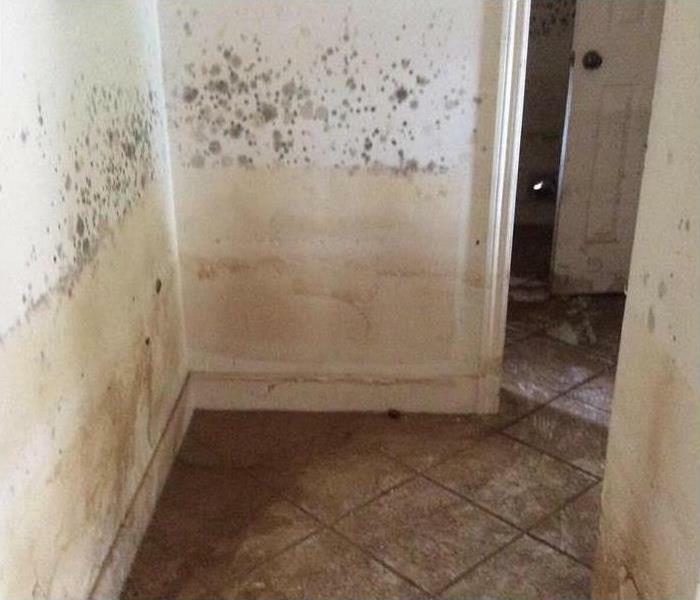 Call SERVPRO of Jackson to help you figure out where moisture is after any water loss occurs. Make sure your home is properly ventilated. Vent appliances to the outside and when you are showering or bathing, don't forget to turn on the bathroom vent in order to help remove moisture in the air. In our next blog, we will tackle some more tips on how to help your home stay free of microbial growth. And remember, when you are concerned about a microbial growth issue, call SERVPRO of Jackson today to schedule a visual inspection at 601-353-2286. We are always here to help! 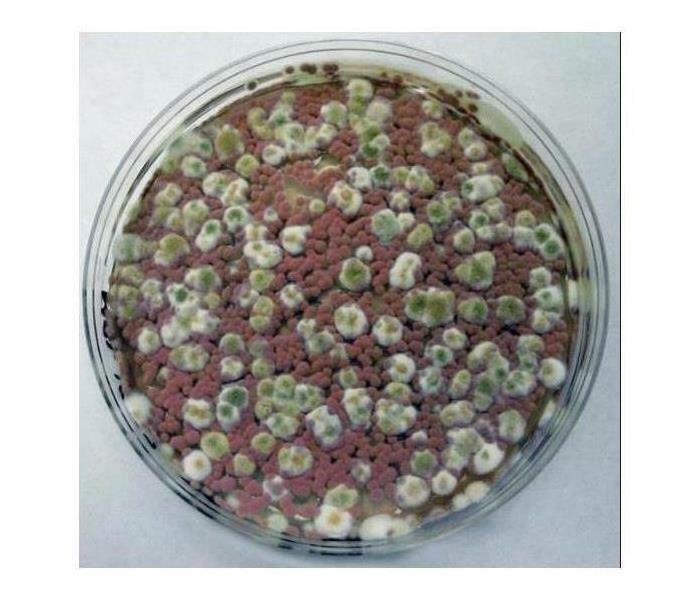 Microbial Growth in a petri dish. In our previous blog, we began learning about how to prevent microbial growth. Here are some more tips on how to prevent microbial growth in your home. When you are building or repairing a home, use products that are microbial growth resistant. This can help protect your home in the future. Monitor the humidity within your home. Keeping an eye on the indoor humidity can help prevent moisture. Increase the circulation in your home. Open windows and doors to let in fresh air which will help reduce moisture. Keep an eye on your indoor plants and make sure there is no mold growing on them. 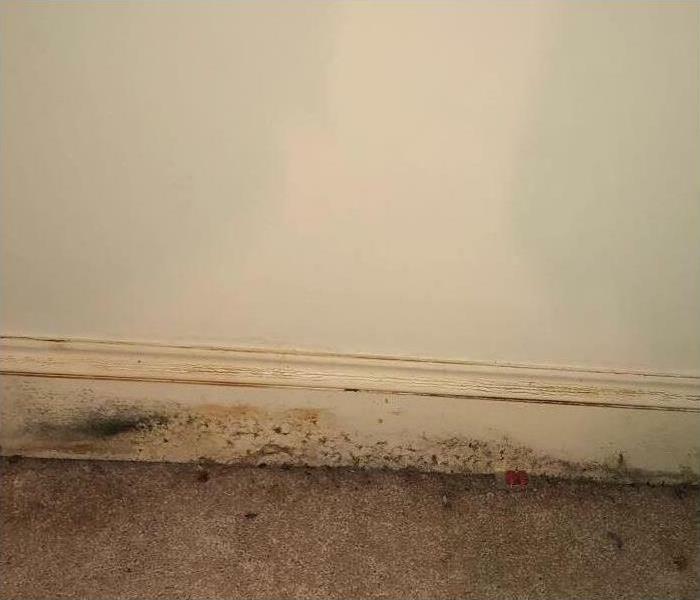 When you notice a microbial growth issue in your home, be sure to call SERVPRO of Jackson at 601-353-2286. 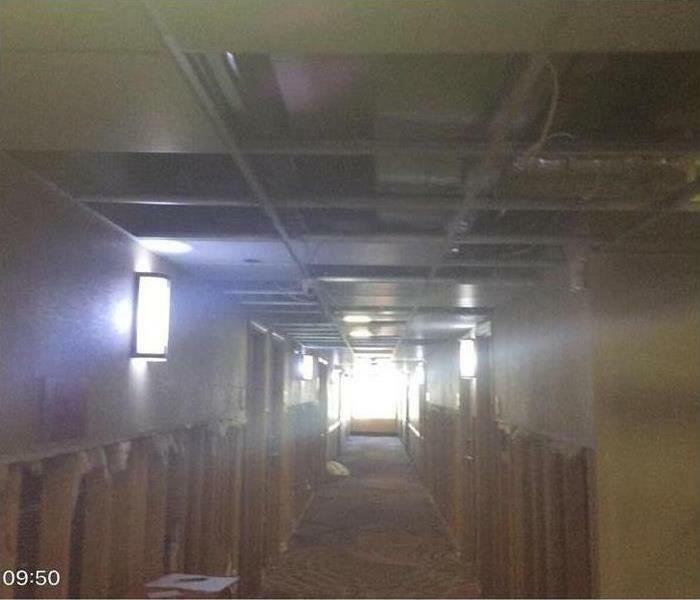 We can do a visual inspection for you then guide you on mitigating an issue, if one is found. SERVPRO of Jackson is always here to help! This image shows how devastating microbial growth can be to a structure. 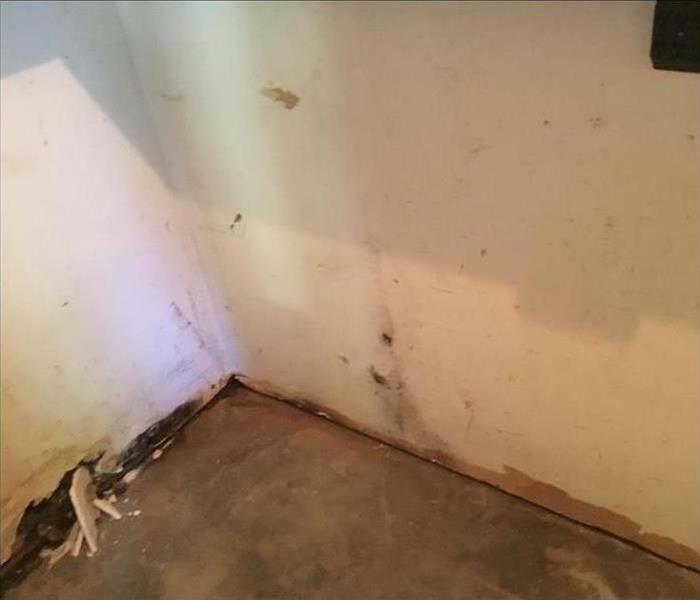 In this image, the home was infested with microbial growth from water damage that was not dealt with properly in the past. 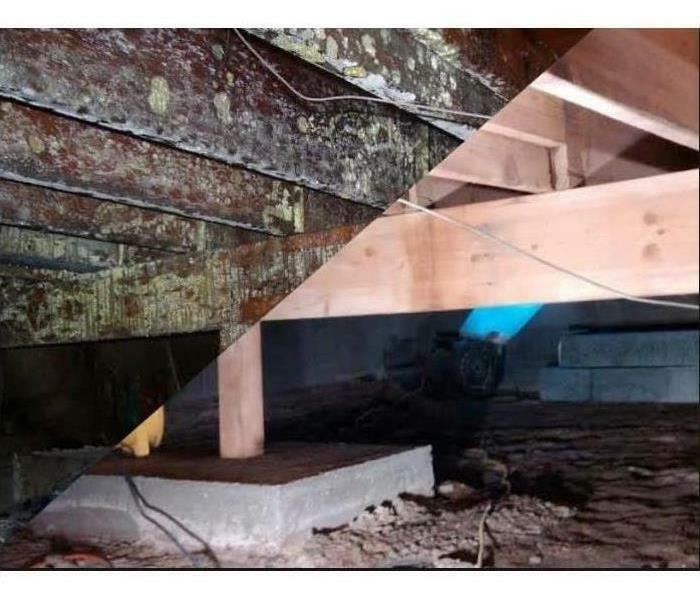 SERVPRO of Jackson's professional demolition team removed all the affected materials and applied antimicrobial treatment to prevent any possible reoccurring microbial growth. It is important to always treat water damage in a professional manner using the latest moisture reading equipment to ensure structure materials have dried properly. If materials are not dried within seventy-two hours microbial growth has most likely occurred. Dwelling in a structure with high concentrations of microbial growth can possibly be detrimental to a person's health with a possibility of causing nasal and throat irritation, as well as eye and skin irritation. Microbial build up can also intensify allergies in homeowners and pets. SERVPRO of Jackson is highly trained in microbial growth remediation. Mold has appeared on this wall. Microbial growth is a serious problem for one to have in their home or business! Most people do not even know that they have microbial growth cultivating in their property. One way microbial growth makes itself known is it gives off an musty odor. It is important to not ignore a smell like this in you home or business. Leaving microbial growth alone to grow will only increase the cost of getting it removed. It is also putting the occupant(s) of the building's health at risk. You need to address the situation immediately. Give SERVPRO of Jackson a call. We will remedy your loss "Like it never even happened." Why wait? The microbial growth is not. It is only getting stronger and harsher. Call us at (601) 353-2286. We are always here to help. 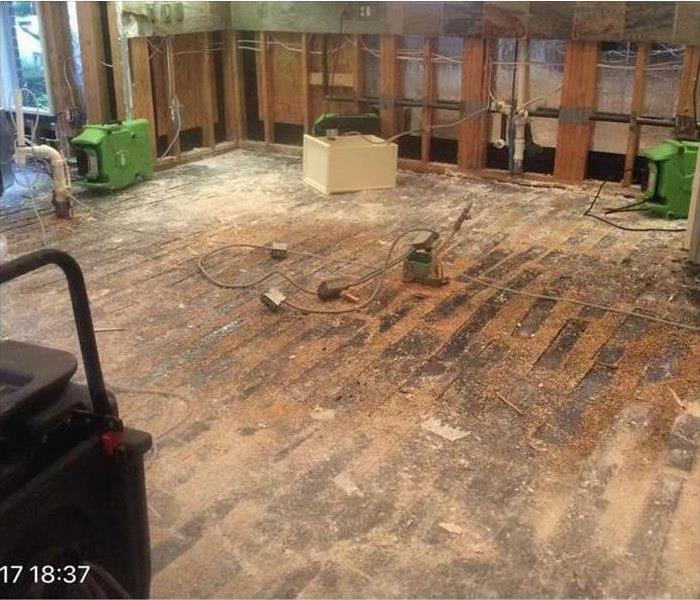 This picture is an example of SERVPRO's excavation of saturated materials in a commercial property that was damaged by a storm. SERVPRO specializes in water, fire and microbial remediation on all size commercial properties. We create value for your company by greatly decreasing the amount of time it takes to get your commercial residence back in business. SERVPRO knows how important it is to have a professional clean looking business, so when disaster strikes your commercial property you want well trained professionals to get your business back to normal and make it look like it never happened. Our technicians have the experience and knowledge to protect your assets while keeping your cost concerns in mind. SERVPRO of Jackson is on call 365 days a year, 7 days a week, and 24 hours a day. Make us your top priority after a disaster strikes your business. This kitchen had several inches of standing water in it due to flooding from Hurricane Harvey. SERVPRO has the necessary resources to respond to large scale disasters such as hurricanes, tornadoes, and thunderstorms. SERVPRO has a nationwide franchise system that works together to assist in catastrophic events anywhere in the country. When hurricane Harvey hit Texas, SERVPRO of Jackson was able to pack their bags, load their trucks with equipment, and travel to Houston and other surrounding cities to help families and businesses in need of water restoration services. Whether it’s in our local area or across the country SERVPRO of Jackson truly is “Here to Help.” Our professional crews are willing to do whatever it takes to have your home or business back in order "Like it never even happened." Call SERVPRO at Jackson at 601-353-2286 if you have any questions or concerns pertaining to water damage in your home or business. 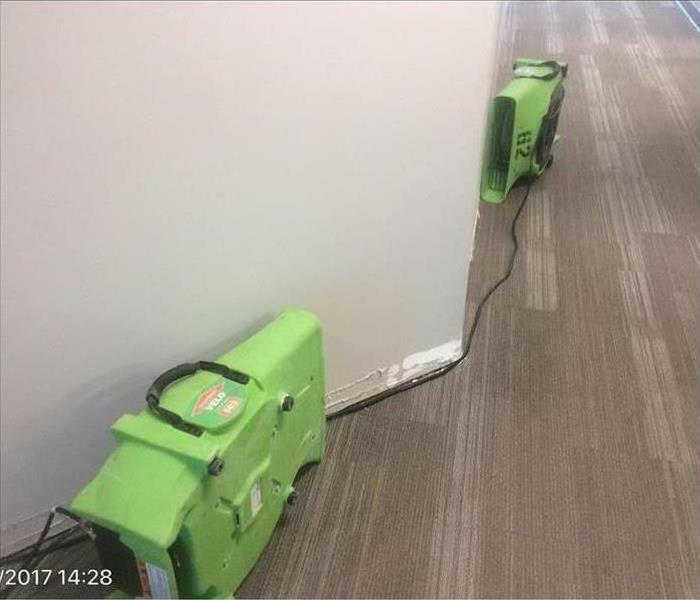 This picture shows SERVPRO equipment in a commercial property. Minimal demo has also been done to speed up the drying process. The SERVPRO® Franchise System was founded in 1967 and is the leader in the restoration industry. We provides services for fire and water cleanup and restoration and mold mitigation and remediation. The is no job too small or too big for SERVPRO to respond to. Speaking of big jobs, SERVPRO has the capability to handle any size commercial loss. With over 1,700 individually owned and operated franchises across the US and Canada, we can mobilize and offer support to franchises in order to respond to storm events or large losses. That means that SERVPRO has your back when the unexpected happens. We are also a 24/7/365 service, and we will respond to any call at any hour. Time is valuable when you have a business to run and a problem arise, and your commercial property speaks volumes to your clients. SERVPRO is IICRC certified and our technicians are professional and experienced. We will extract standing water in order to place commercial equipment to start the mitigation process. Give SERVPRO of Jackson a call for any questions concerning a commercial restoration, remediation, or mitigation at 601-353-2286. This photo shows how high the water level can get in a home when flooding occurs due to heavy rains. Trim trees and remove dead branches so they won’t damage your home if they fall because of wind. Check for any roof damage. Pay attention to surface bubbles and areas with missing gravel on flat roofs or missing or damaged shingles or tiles on sloped roofs. Check the flashing on the roof to make sure it’s in good condition to help prevent water from seeping through. If your roof needs replacing, consider impact-resistant roofing materials, especially if you live in an area where hail storms are common. Call your local SERVPRO storm response team, in Jackson, at 601-353-2286 for all your storm remediation needs! 4/1/2019 - Home! Sweet... Mold?